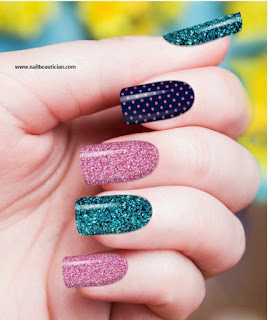 Shimmery nail art is famous among the girls, because it provide great look to your nails. It is just designed for young girls. 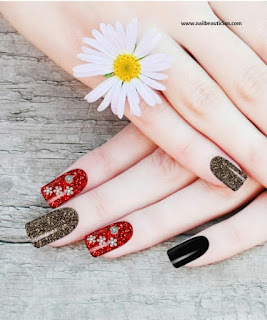 It gives fresh and gorgeous look to their nails. 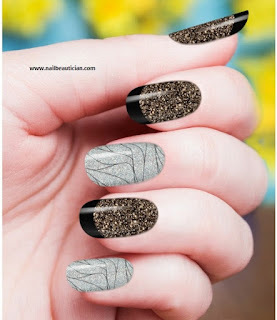 One can carry these kind of nail art in parties, and at any big event. Here is the list of things that is required for doing shimmery nail art. -A Darker shade nail color (you can also use Matte color for this nail art). 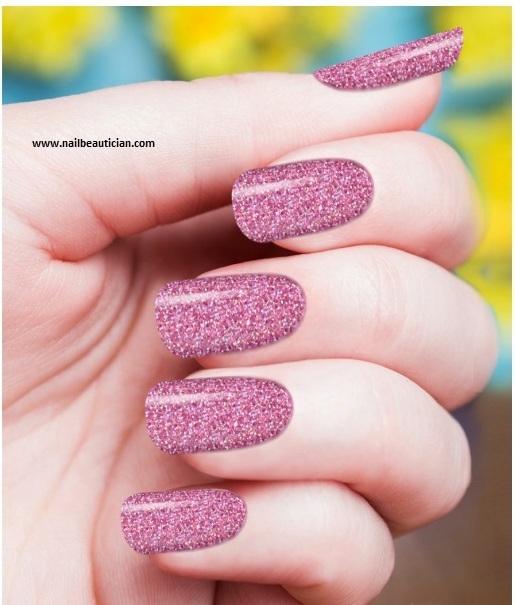 -Glitters (Glitters come in many colors and shades, one can choose according to their choice). How to do Shimmery Nail Art? -Apply the base coat on your nails. -Now apply the nail color. (Skip one finger, because it is coated with glitter later on, or you can color all nails and put glitter on all. It all depends upon you. -Apply the Nail glue on the nail you want to coat with glitter. -Now apply the transparent nail color for finishing. Note: You can also make patterns on the glittery nail for making it more attractive and gorgeous. Here are some of the famous shimmery nail art designs.